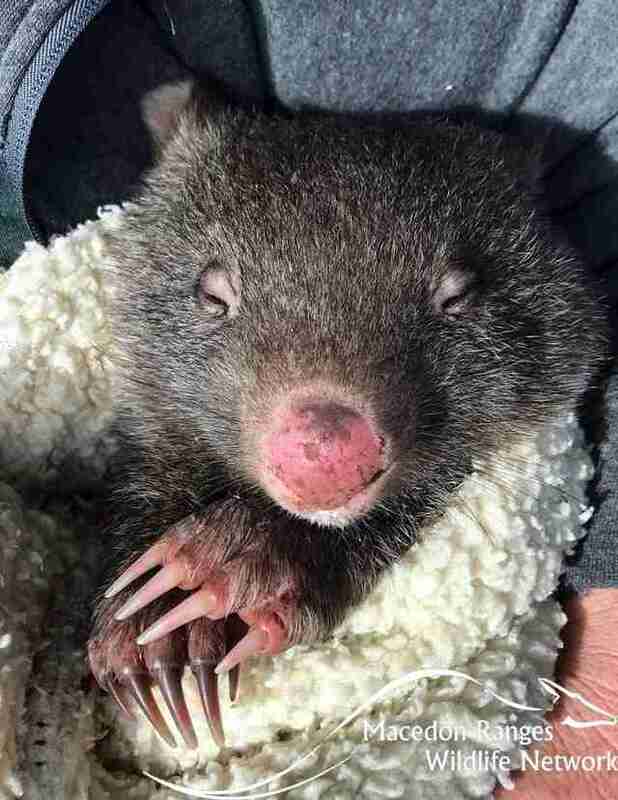 The baby wombat tore across the road in Victoria, Australia, hiding among some dried grass and brush plants — and she refused to come out. 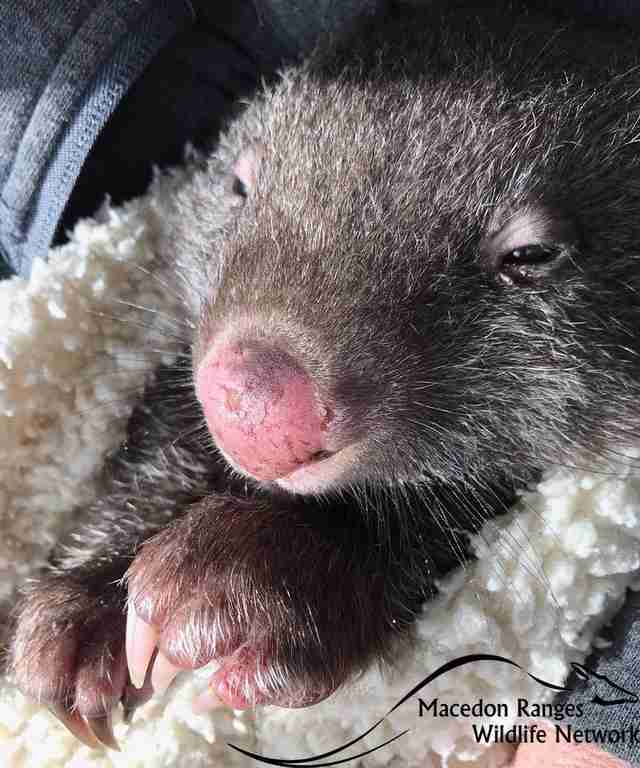 Moments before, a local woman had found the baby wombat curled up with her mom’s body — sadly, the mom had died after being hit by a car. But when the woman tried approaching the baby wombat to help her, the little animal had run away. 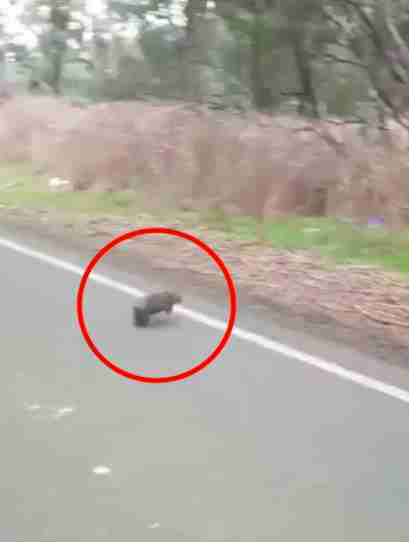 Thankfully, the woman had captured a short video of the wombat, which she sent to Macedon Ranges Wildlife Network, and one of the rescue workers, Leanne Middling, immediately went out to search for the animal. “Leanne knew the joey was dependent on her mother for survival, and if she was not captured, she would die,” Mel Fraser, social media manager and wildlife rescuer for Macedon Ranges Wildlife Network, told The Dodo. “Leanne spent Monday searching — the mother was most likely killed the night before." It didn’t take long for Ruby, who is between 6 and 12 months old, to relax in the care of her rescuers. Ruby will remain at the shelter for the next 18 months to 2 years — and during that time, the team will be preparing for her release back into the wild. To help care for Ruby while she’s growing big and strong, you can make a donation to Macedon Ranges Wildlife Network.